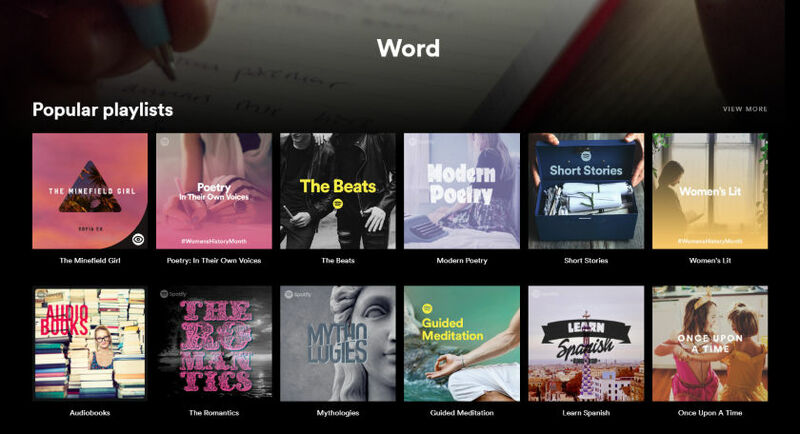 If you are looking for free audio content, Spotify’s Word genre offers a diverse of spoken word materials, podcasts, audiobooks, poetry , short stories and more. Right now the collection is somewhat small, but is growing. A collection of public domain audiobooks including works like The Great Gatsby and The Secret Garden. An interesting selection of poetry, including readings by Dylan Thomas, Robert Frost and W.B. Yeats. A diverse literature and short story selection, ranging from Dickens to Russian and French literature. A collection of speeches, including famous speeches by Martin Luther King, Joseph Campbell and Noam Choamsky. Want to learn a foreign language? 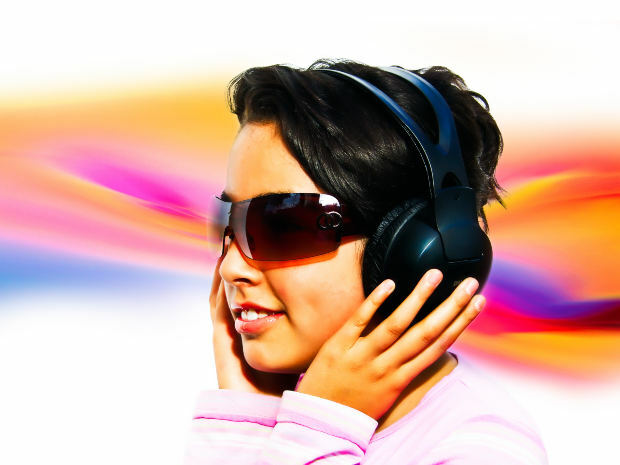 There are lessons in audio courses in Spanish, Italian, French, Chinese and even Irish. All of this content is available on Spotify’s free tier. The only downside is that while Spotify allows ad-supported on-demand listening for free on desktops and tablets, the service is shuffle only for smartphone users on the free tier. If you want to take full advantage of the content on your phone, you will need to be a Premium subscriber. As audiobooks and more spoken word content continue to rise in popularity, the addition of the Word genre is a big plus for Spotify. What do you think? One of my most popular posts was one I did on Where to Find Free Ebooks. But did you know that there are also sites that have free audio books available as well? There is a wide variety of quality and type among free audiobooks. You can find human read books that range from a simple narration to others that are audio performances by groups of actors. There are also machine read books that also vary greatly in the sound of the computer translation. Some sites offer both human and machine-read audio books. Audio Books for Free.com: http://audiobooksforfree.com/ Free downloads. You can also purchase MP3 discs, CDs and DVDs formatted in various ways. Audio Books.net: http://www.audiobooks.net/audiobooks_free.php Free audiobooks. Also has audio books available for purchase. Literal Systems http://literalsystems.org/abooks/index.php Recorded by professional actors under a Creative Commons license. Librivox: http://librivox.org/ Audio books narrated by volunteers. Lit2Go: http://etc.usf.edu/lit2go/ From Florida’s Educational Technology Clearinghouse, K thru 12 children’s stories and poems. Podiobooks: http://www.podiobooks.com/ Serialized books presented as podcasts. Oh! And they are read by the authors – How cool is that? Books Should be Free: http://www.booksshouldbefree.com/ Books from Public Domain sources presented in a very visual way. Includes books digitized by Gutenberg.org and recorded by Librivox.org. Free Classic Audio Books: http://freeclassicaudiobooks.com/ Offers free digitally narrated books. Also offers human-read books on CD for a fee. Audio Treasure: http://www.audiotreasure.com/ The Bible in various languages and translations. This bolg entry composed while listening to Best of Duke Ellington.